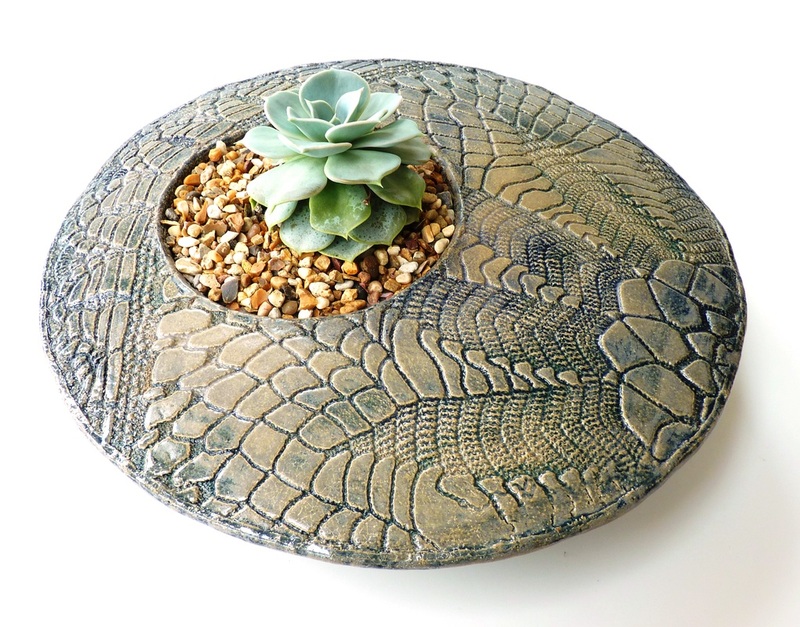 Hand built ceramic pots for succulents, and Ikebana vases for flower arranging. 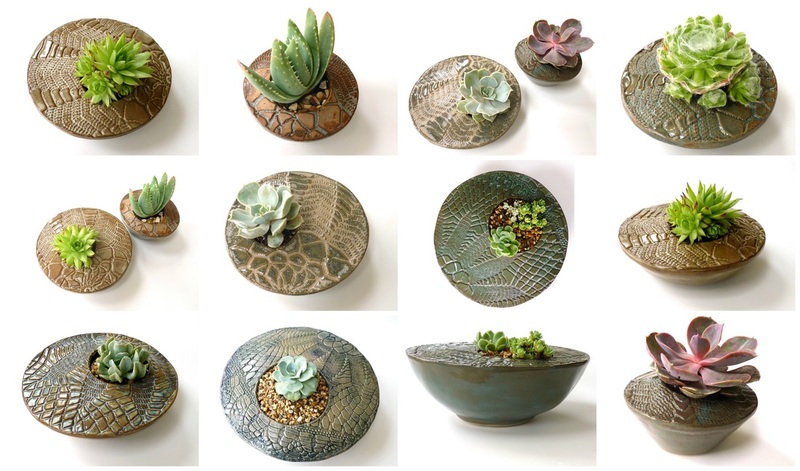 My love of textiles inspired these bowls, I love the way the crochet pattern echoes the shapes of some plants such as succulents. ​These containers also make interesting ikebana bowls for flower arranging.